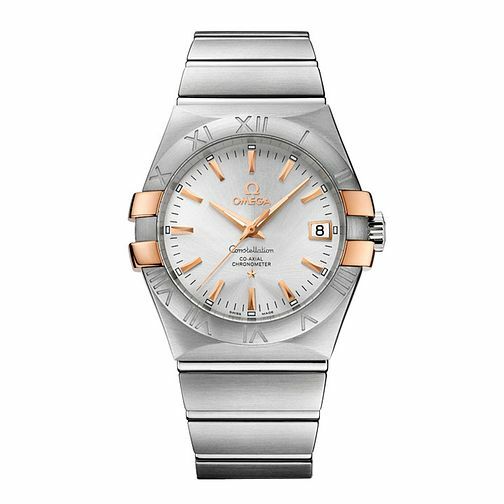 This Omega Constellation watch features chronometer movement and a sleek silver tone dial. With a two colour bracelet made from stainless steel and 18ct rose gold-plating, Omega watches offer unparalleled Swiss made quality combined with classic style. Designed with the modern gentleman in mind.